Enjoy your vacation in the Schooner Ridge Community. 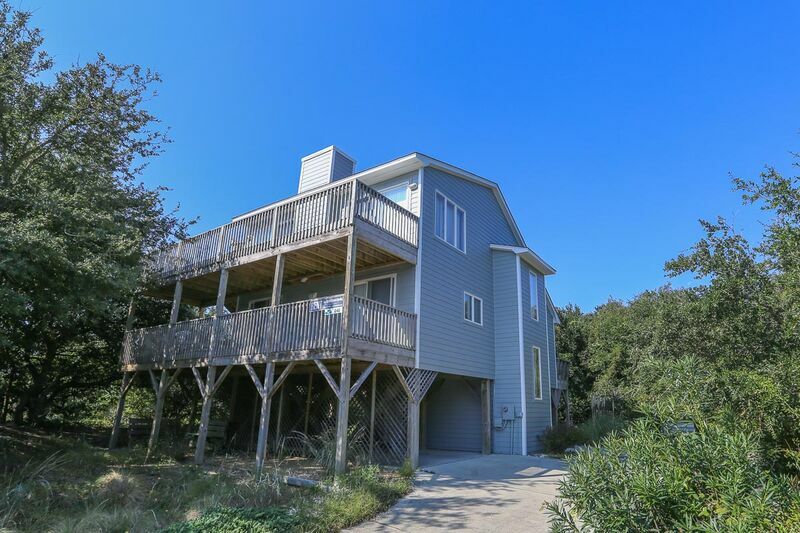 'Dee Coy Duck' is located in a quiet cul-de-sac and just a short walk to the beach, the Schooner Ridge recreational center and the shops in the Village of Duck. 420 yards to beach access and parking. 4 bedrooms (all opening to decks, 2 with Queen, 2 with Twins), 2 full baths. Great room with CATV, DVD player, cathedral ceiling, Sleep sofa, den with CATV, Double futon, powder room, kitchen with breakfast bar, dishwasher, microwave. Rec center with racquetball court, fitness facility, game room, wireless internet access.